A sirloin roast is a large cut of beef that comes from the back portion of the cow. Though not as naturally tender as the tenderloin sections, a properly cooked sirloin roast can yield moist, flavorful meat. Barbecuing a sirloin roast on the grill adds flavor without adding fat. Because sirloin roasts benefit from long cooking times at low temperatures, you should set up the grill to use indirect heat. 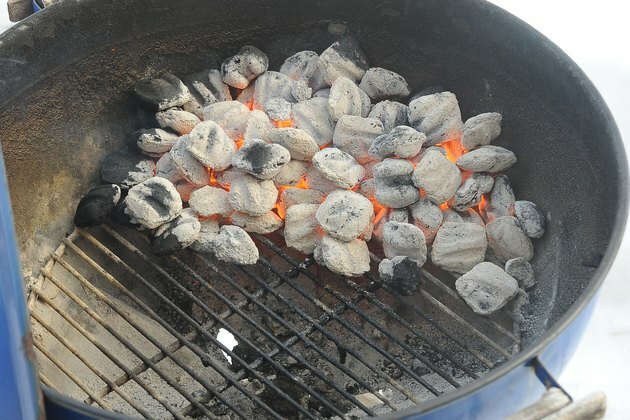 Prepare the gas or charcoal grill for indirect cooking by pushing all lit coals to one side or by lighting only half of the gas grill burners. Indirect heat is preferred for a sirloin roast because it cooks the meat at a lower temperature, preventing it from burning. 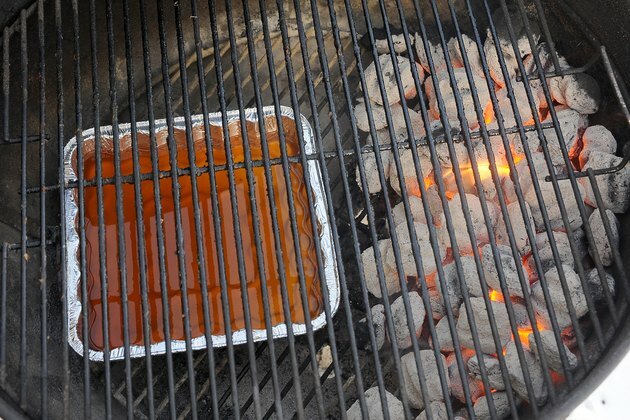 Place a shallow drip pan filled with apple juice, beef broth, beer or wine on the empty, or unlit, side of the lower grill grate. Replace the grate on which the meat will be placed. Rub all sides of the sirloin roast liberally with the seasoning mix. Consider using spices that go well with traditional barbecue flavor such as pepper, garlic, mustard powder, paprika and chili powder. Place the seasoned sirloin roast over the drip pan and close the grill lid. Adjust the vents as needed to keep the temperature consistent. 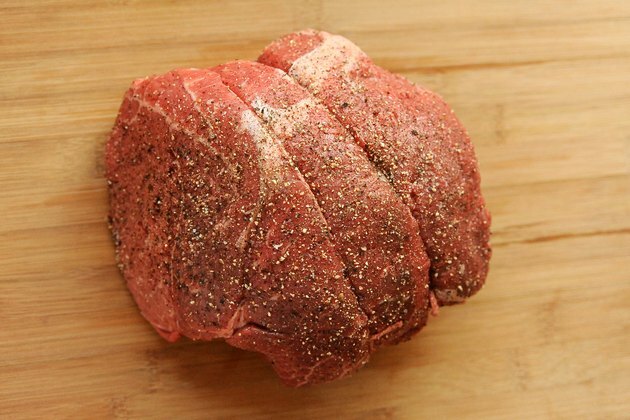 For a sirloin roast, aim for a grill temperature of approximately 350 degrees Fahrenheit. If using a charcoal grill, you may have to add additional charcoal during the grilling process in order to maintain the temperature. 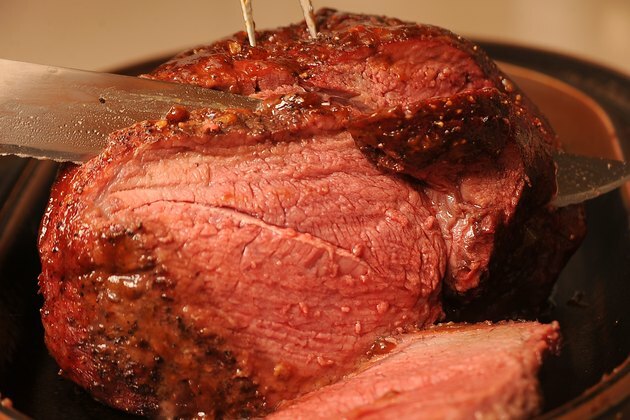 Cook the roast until a meat thermometer inserted into the thickest part of the roast reads 135 degrees Fahrenheit. The USDA recommends cooking all raw meat to an internal temperature of 145 degrees, but the roast will continue to cook after being removed from the grill, normally rising another 5 to 10 degrees. Grilling a five-pound roast should take approximately two hours. 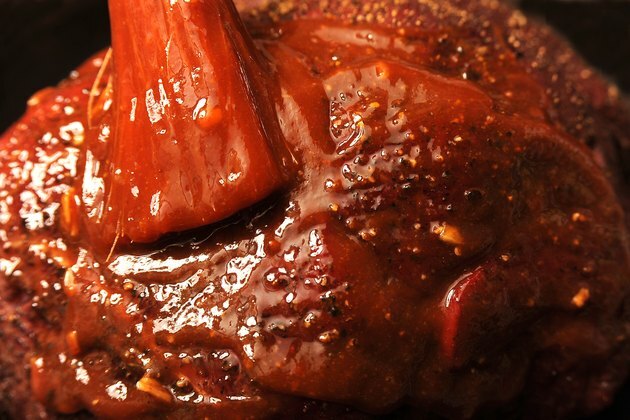 Apply barbecue sauce during the last 30 minutes of cooking. Applying the sauce earlier may cause the roast to burn and ruin its flavor. 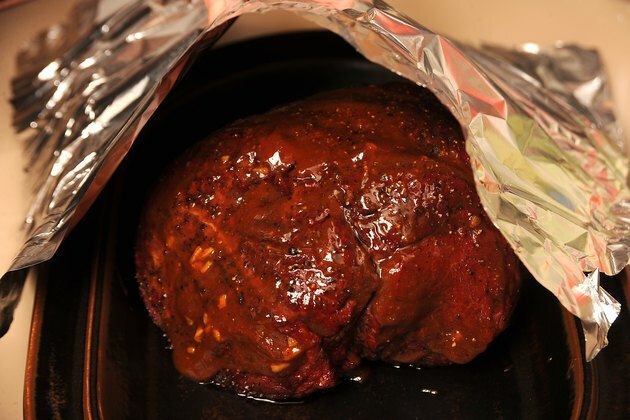 Tent the roast with aluminum foil and allow it to rest for at least 10 minutes. Resting allows the cooking process to finish and encourages the interior juices to be distributed through the meat, keeping the meat tender. After resting, slice thinly across the grain with a sharp knife and serve. Consider adding hardwood chips, soaked for at least one hour, on top of the charcoal or gas grill burner. 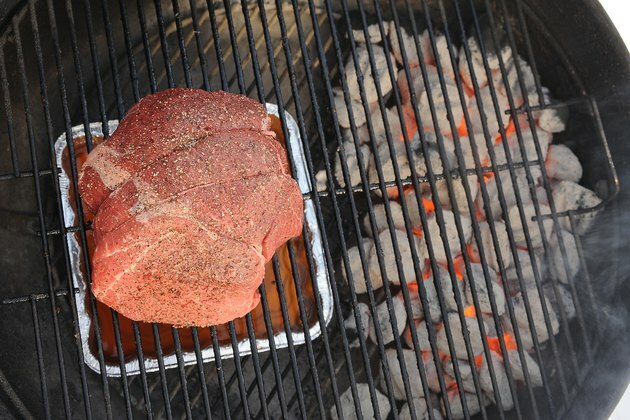 Wood chips will infuse the sirloin roast with a smokier flavor characteristic of classic BBQ. USDA Food Safety and Inspection Service: Is It Done Yet?